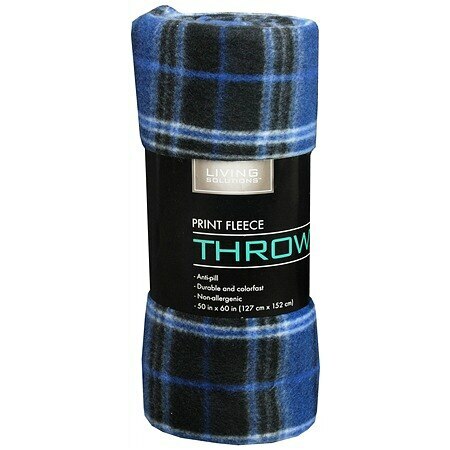 Living Solutions Print Fleece Throw1.0 ea. 100% satisfaction guaranteed with all Walgreens products or your money back. Machine wash cold on gentle cycle. Do not bleach. Tumble dry low. Wash separately before use. © 2011 Walgreen Co.